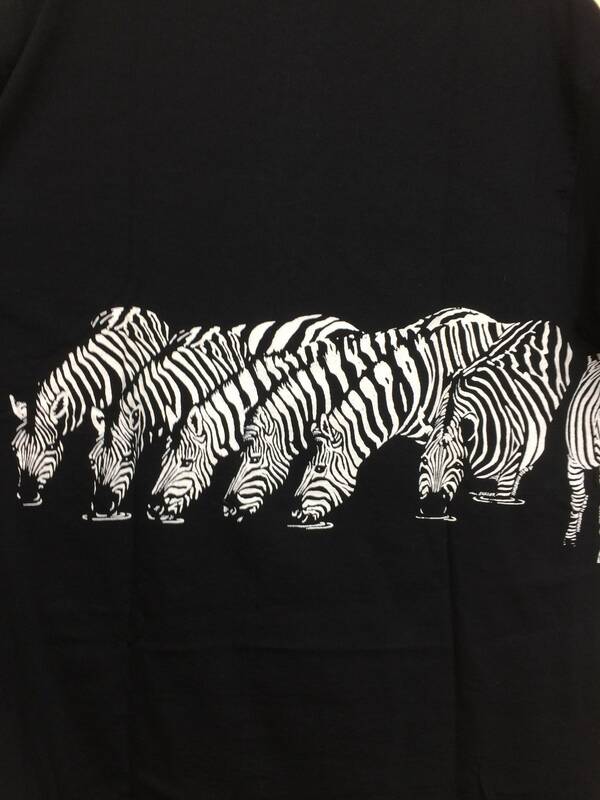 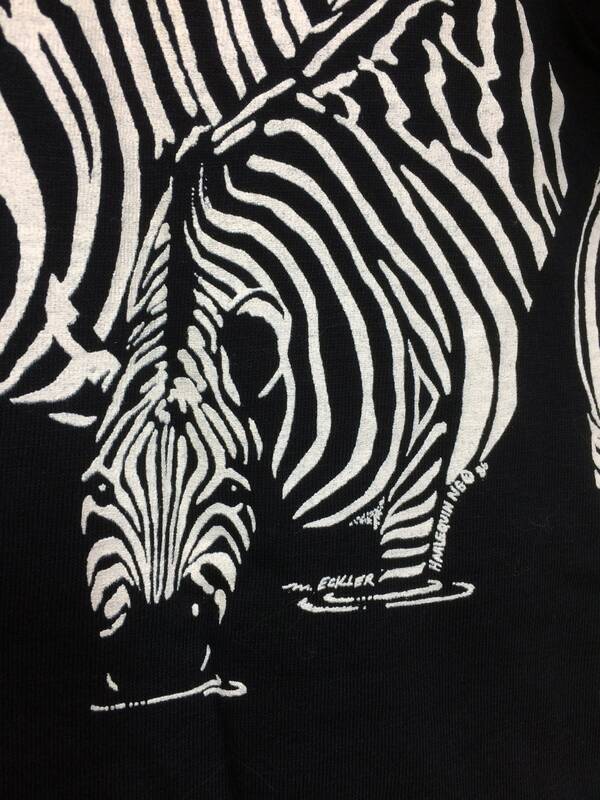 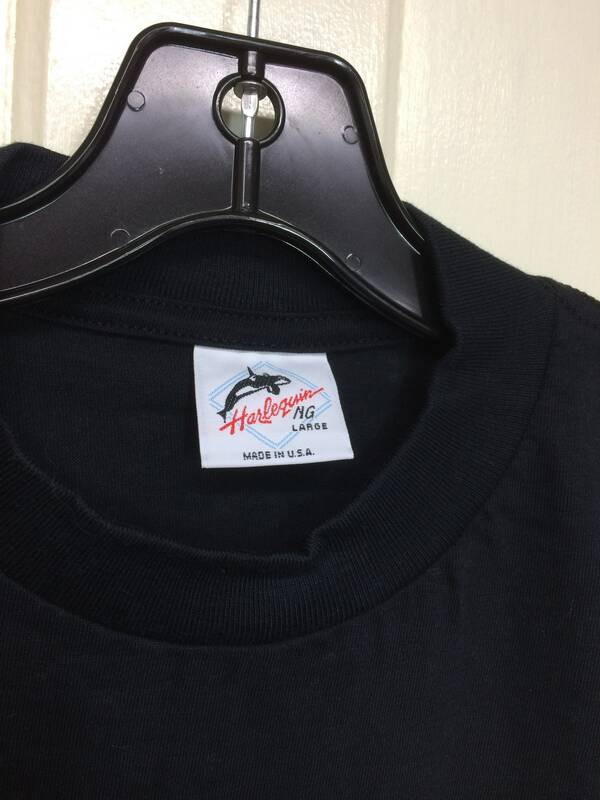 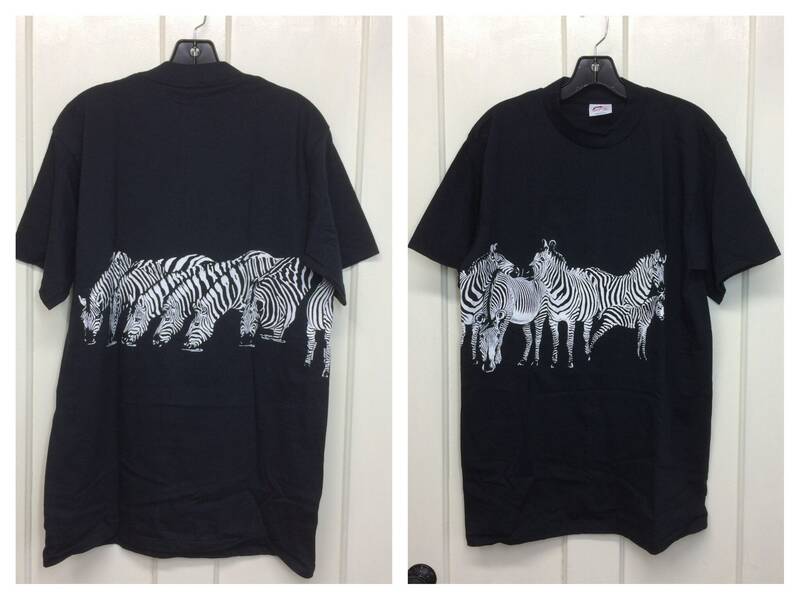 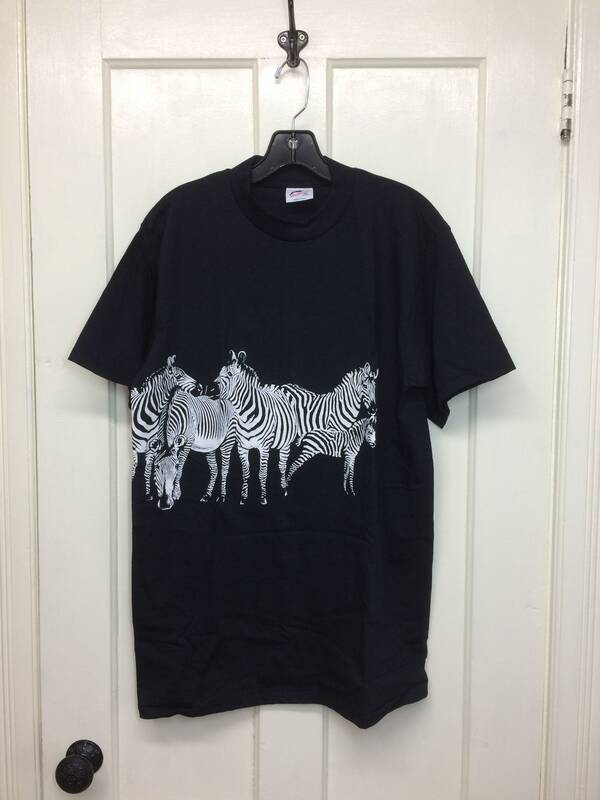 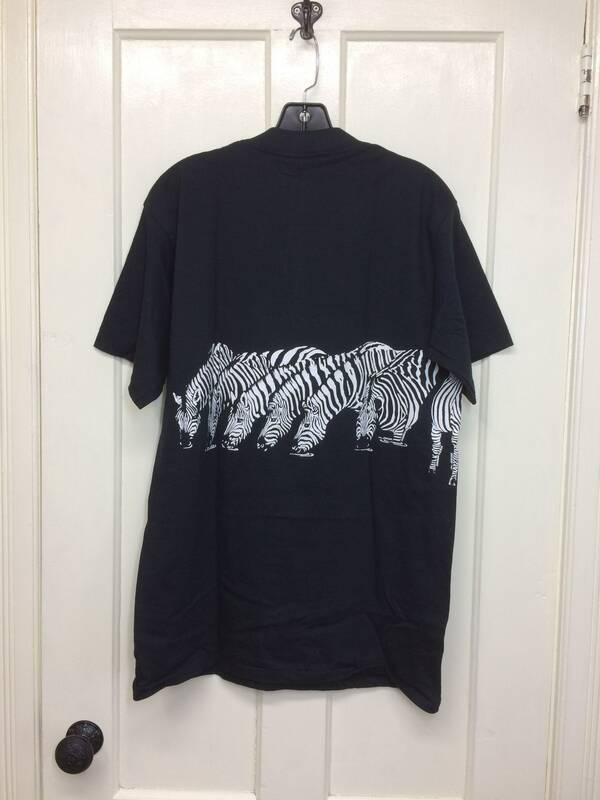 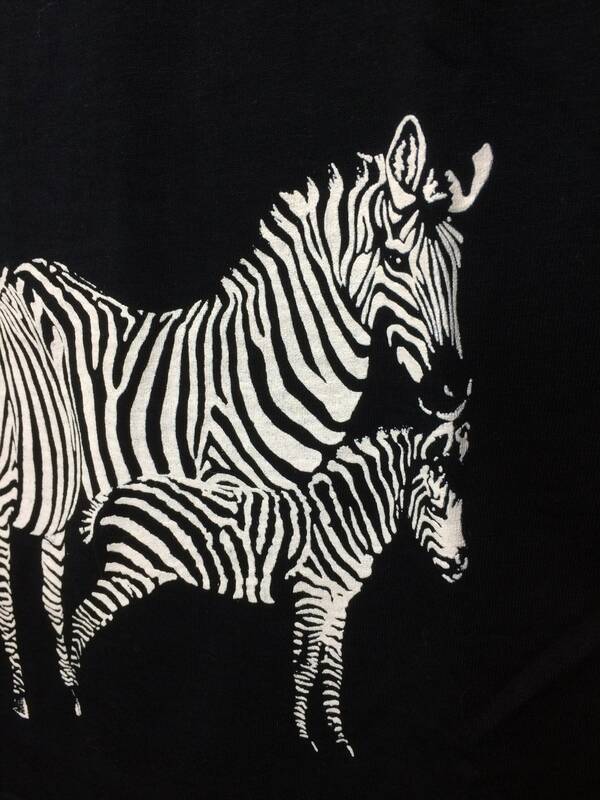 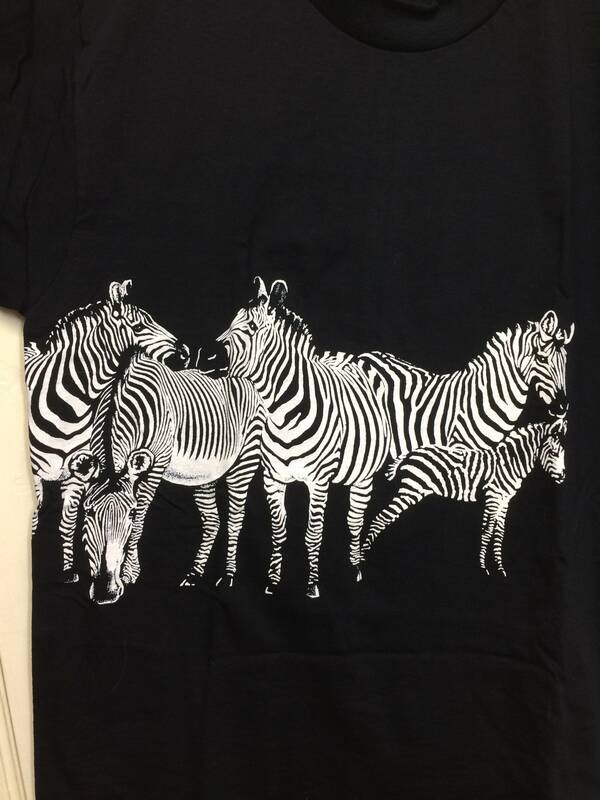 Here's a deadstock zebra art wraparound print t-shirt from the 1980's, dated 1986. 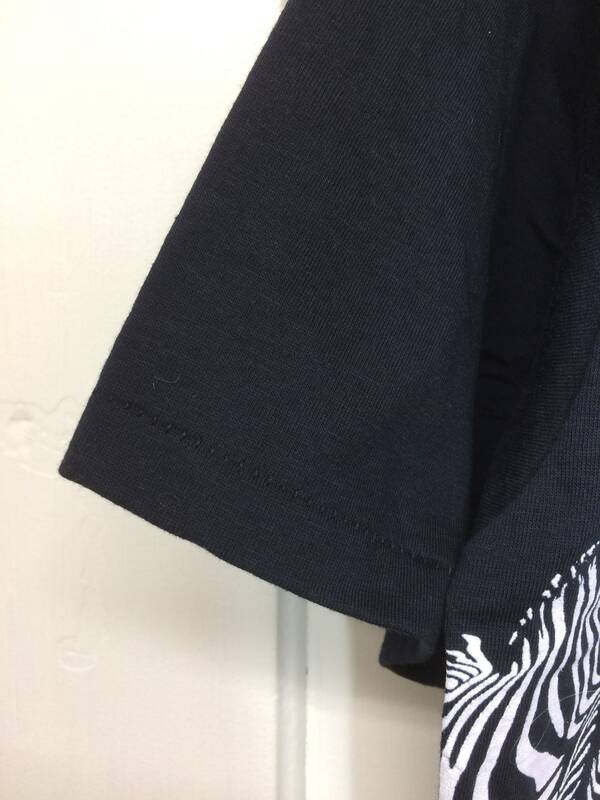 It's soft single stitched cotton. 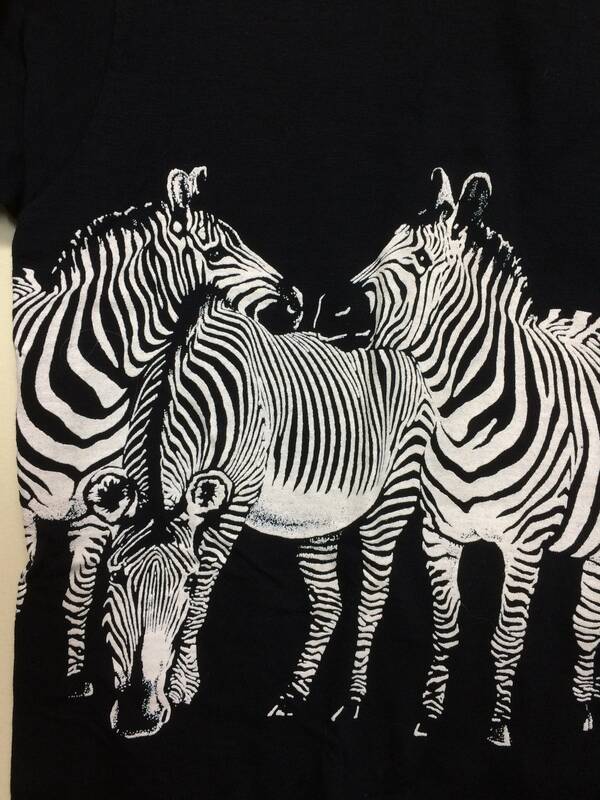 It's in excellent unused condition, no damage.